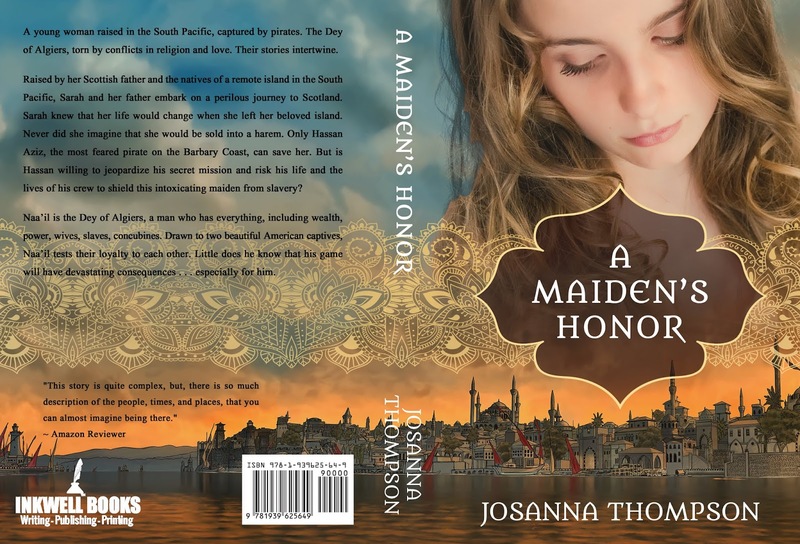 Please join me in congratulating Josanna Thompson on the republication of her debut novel, A Maiden's Honor, with a new cover designed by yours truly! Raised by her Scottish father and the natives of a remote island in the South Pacific, Sarah Campbell and her father embark on a perilous journey to Scotland. 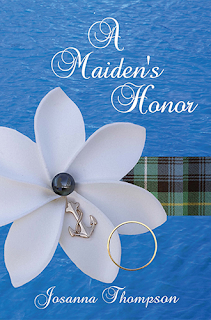 Sarah knew that her life would change when she left her beloved island. Never did she imagine that she would be sold into a harem. 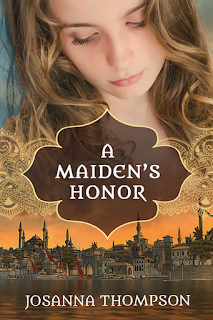 Only Hassan Aziz, the most feared pirate on the Barbary Coast, can save her. But is Hassan willing to jeopardize his secret mission and risk his life and the lives of his crew to shield this intoxicating maiden from slavery? Naa’il is the Dey of Algiers, a man who has everything, including, wealth, power, wives, slaves, concubines. Two American cousins are presented to him, and Naa’il is told that only one is a virgin. Drawn to these beautiful maidens, Naa’il tests their loyalty to each other. Little does he know that his game will have devastating consequences . . . especially for him. A Maiden's Honor is available now in ebook and print format on Amazon. 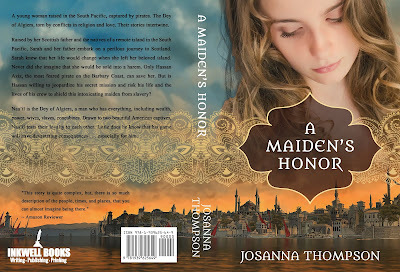 Add it to your shelves on Goodreads, and visit Josanna's website for blog posts and information on upcoming books.